A baby swing might not seem like an essential item to add to your registry, but this can be a sanity-saving piece of gear. 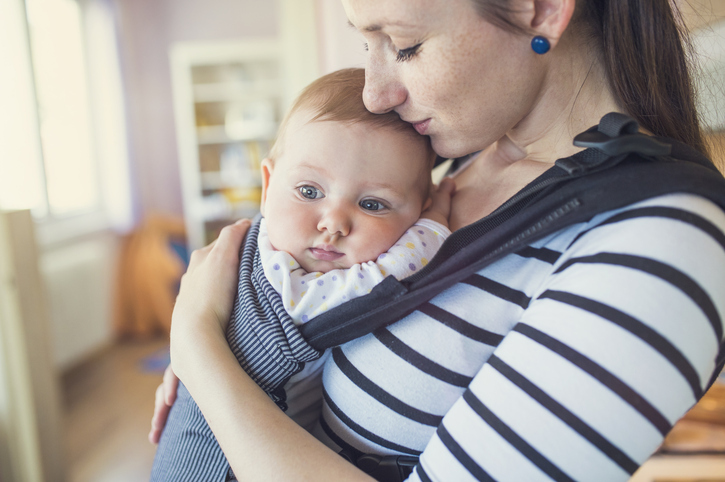 Infants require a whole lot of swaying, swinging, and rocking, and a baby swing can provide these soothing motions when mama needs a break, or is trying to get something done and needs to put baby down. Before you start your search for the perfect swing, consider where you’ll use it. If it will remain solely in one place -- your living room, for example -- a standard swing could be a good choice. Standard swings have AC adapter cords which help save on batteries, but they tend to be large swings and not the most transportable. Portable swings, on the other hand, are compact, run on batteries, and are easy to fold up and throw in the car to take to grandma’s. Many baby swings now offer multiple swing speeds and directions. As you probably don’t yet know what motions will soothe your baby, choosing one that has a few speeds and swing directions is a smart move. Additionally, you’ll find swings that offer vibrate options, built-in music and white noises, and MP3 player compatibility. Take a look at these top sellers in baby swings and you’re sure to find one that’s right for your baby.